Parker, Smith & Feek partners with Pillar International Insurance Advisors (Pillar) to provide life, disability and long term care insurance brokerage services. Pillar is well known for expertise in the use of insurance in estate planning, business succession and executive benefit applications. 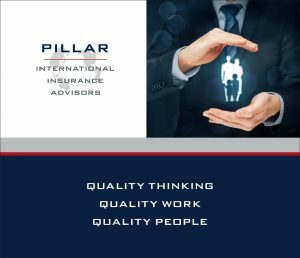 In addition, Pillar provides fiduciary services for retirement plan sponsors and trustees; and offers extensive reporting services for non-qualified retirement plans and trusts holding life insurance policies. This partnership supports our mutual commitment to provide clients with expertise and differentiated products and services, enhancing our ability to serve your needs. Pillar International Insurance Advisors, LLC was founded as an independent insurance brokerage and benefit plan advisory firm. We help affluent individuals, families, and companies achieve their goals through creativity, thoughtful analysis, quality execution, and remarkable client service. The firm is owned, managed and staffed by senior professionals with backgrounds in accounting, law, investments, and insurance. We are not merely in the business of selling insurance. We are built and operate to help advisors and company management assess risk, develop programs and manage them, structure insurance product placement, and administer contracts. We are sincere in our desire to understand objectives, biases, and cultural and financial parameters before suggesting the options we feel are best suited to fulfilling agreed upon objectives. We strive mightily to achieve our goal of complete client satisfaction now, and in the future. Our culture of placing clients first has helped us attract an extraordinary group of professionals and staff committed to a single goal: to serve our clients extremely well. The underwriting of coverage and the establishment of insurance policies, investment and benefit structures are only the beginning of our relationship. Consistent monitoring of our clients’ product portfolios and their effectiveness in meeting the standards that have been set is fundamental to our business model. Life insurance is a dynamic asset and performance must be measured against original objectives and policies adapted to financial conditions and the evolving needs of our clients. As a Member Firm of M Financial Group, in addition to products available through standard channels, our clients have exclusive access to proprietary insurance products that are priced with M reinsurance company mortality charges, and expenses that reflect the quality of business and the extraordinary policy size generated through the M channel. Founded in 1978 on the principle that “off-the-shelf” products don’t adequately meet the needs of the ultra-affluent and corporate markets, M Financial works with the nation’s most important insurance carriers and investment firms to pioneer innovative product and services. M Financial Re, a life reinsurance company owned by M Financial stockholders, reinsures a substantial percentage of the business Member Firms write, aligning the interests of producers and carriers resulting in superior products and carrier services. For additional information about M Financial Group, please visit www.mfin.com.